If you feel your product line would be a good fit for Innovative Functions, Inc. or you would like to see a specific product line added please fill out the Information Inquiry. 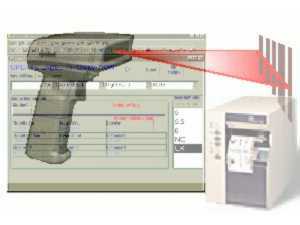 Innovative Functions is a Rockwell Software VAR. Innovative Functions has a group of experienced engineers to help you select the correct product. We can also offer assistance or completely program your system using the Rockwell Software packages. Innovative Functions has extensive experience with the RSView man machine interface line of products as well as the Allen-Bradley PLC programming software packages. Innovative Functions can offer the complete line of Norand products for your RF and data collection needs. In addition to Norand we also offer a complete line of scanners, printers and all the extras for Point Of Sales solutions. Innovative Functions has set up several Value Added Reseller agreements with PC hardware manufactures to offer our customers a complete solution. From Insight we can offer a complete solution. 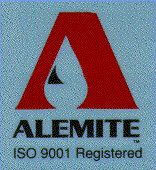 Alemite is the premier line for lubrication. We offer custom lubrication systems as well as the full line of lubrication tools and accessories. The Vacuhoist product line allows Innovative Functions, Inc. to offer a custom material handling solution where a fully automated system is not practical or cost effective.